Beginning this Saturday, St. Phillips farmers market will now be open 8 am to 1 pm; that's an extra hour for the sleepyheads and slowpokes to get there in time! These are the "winter" hours, although this year we are still opening at 8 am for the early birds who want to get on with their day. 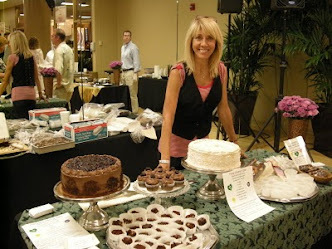 Green Heart Bakery will be there both Saturday and Sunday. St. Phillips Plaza is on the SE corner of Campbell Ave and River Road. As there is construction going on (remodeling the hotel and a restaurant), we vendors are being moved around.....and so you may have to look for Green Heart Bakery. You can ask other vendors; management also has a table and they can guide you. You can also call me 520-954-2409, and I can "talk you in." The Lemon Bars return this weekend - and they are also diabetic-friendly.